A source described Chandler Parsons as "really impressed" with Portland's presentation, which included a four-year max offer and emphasized the Trail Blazers' vision for him. Owner Paul Allen, general manager Neil Olshey, coach Terry Stotts and star point guard Damian Lillard traveled to Los Angeles to meet with Parsons, who is intrigued by the possibility of joining a playoff team with a young core. Parsons has a Friday meeting set up with the Memphis Grizzlies, sources said. 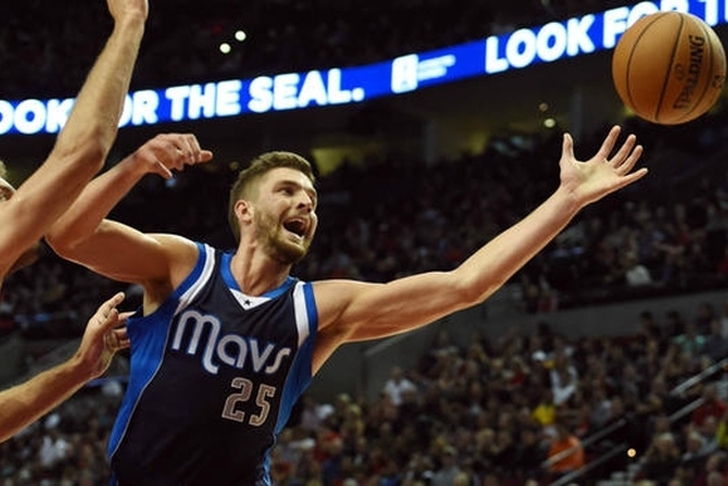 Parsons is seeking a max contract, which the Blazers offered him. The Mavericks have said they won't offer that to him, meaning he will be playing elsewhere next season. The Grizzlies and Lakers also plan on offering him a max deal. Wade is unhappy with the Heat about the approach it has taken with his contract, a friend of Wade said this week. That’s why, as ESPN reported, his agent has told Dallas, San Antonio and other teams that he’s available, though some NBA people believe Wade is simply looking for leverage. An involved person said the Heat has been unable to tell Wade exactly what it’s willing to pay him because a lot will depend on whether it can sign Whiteside or Durant. That apparently has frustrated Wade, who wants to feel like a priority. Wade has shown interest in the Spurs and Mavs, while the Cavs could get creative to create cap room if he wanted to play with his best friend, LeBron James. Barnes staying in Golden State? Warriors forward Harrison is expected to receive high-money offers from multiple teams in free agency, namely the Philadelphia 76ers, but he doesn't appear to be going anywhere. As a restricted free agent, Golden State can match any offer he gets, and they plan to do just that. A source doubts that Harrison Barnes will join the #Sixers. #GoldenState intends to match any offer he gets. Barnes averaged 11.7 points and 4.9 rebounds per game last season.